We wrote What It Was Like to be a Silver Medallion for a Month, starting the year with 58,000 MQMs. During the first few weeks I earned 7,000 MQMs which will put me around 65,000 MQMs. 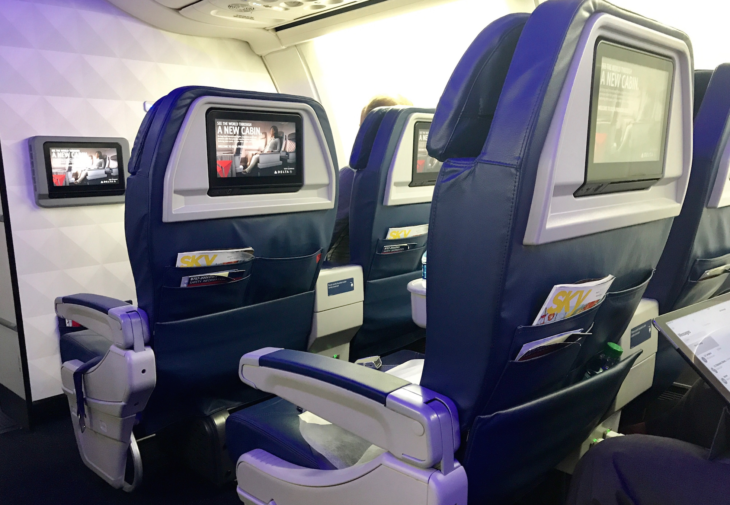 In the last couple months, I managed to spend $25,000 on my Platinum Delta SkyMiles Credit Card from American Express, which gave me an additional 10,000 MQMs putting me at 75,000 MQMs as well as give me the Medallion Qualification Dollars waiver. As I was able to accomplish this in March, I’ve now earned Delta Platinum Medallion status for all of 2018, all of 2019, until Jan 2020, effectively giving an extra year than I had re-qualified last year, however the status didn’t officially update until my amex statement closed and the 10,000 MQMs posted. I just so happened to have an upcoming Delta flight that was the day the 10,000 MQMs posted to my SkyMiles account. I keep checking my reservation and my Platinum status wasn’t updated on the reservation, despite it showing Platinum on the website. Next, I called to have Delta un-check me in for this reservation and I checked in again online, however my old status was still reflected and the upgrade priority as well. I called back, and asked to be un-checked in, and had them remove my SkyMiles number from the reservation completely. I waited about 5 minutes, and added back my SkyMiles number online to this reservation and sure enough Platinum Medallion was reflected on the boarding pass. Even better, I was able to jump up to #1 on the upgrade list and score a gate upgrade. If your Medallion status level changes the day you have a flight, be sure to call Delta to have them remove your SkyMiles number from the reservation and re-check in. If done correctly, you’ll notice your new status on the boarding pass, as well as a jump on the upgrade list. Have you changed Medallion status levels the day of your flight? Were you able to have your new status level reflected correctly and score an upgrade? Feel free to share your thoughts in the comments below. Did you do a post about how you got the spend so quickly? I’m in the same boat, but I’m not sure the most effective way to manufacture spend these days….